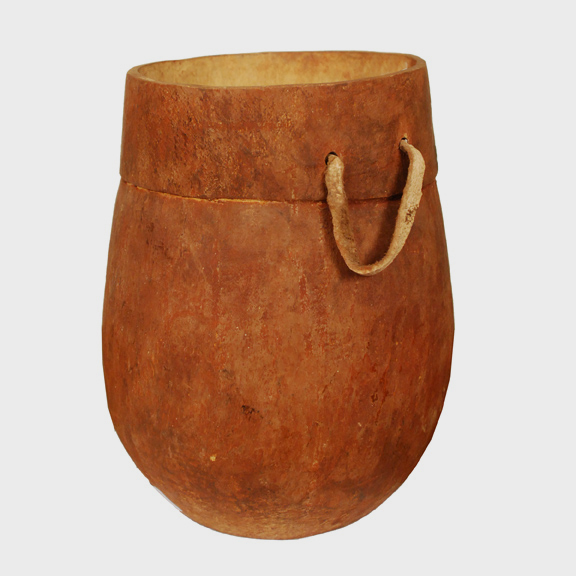 Growing in both temperate and tropical environments, gourds can be found all over Africa, where they have been cultivated since ancient times. 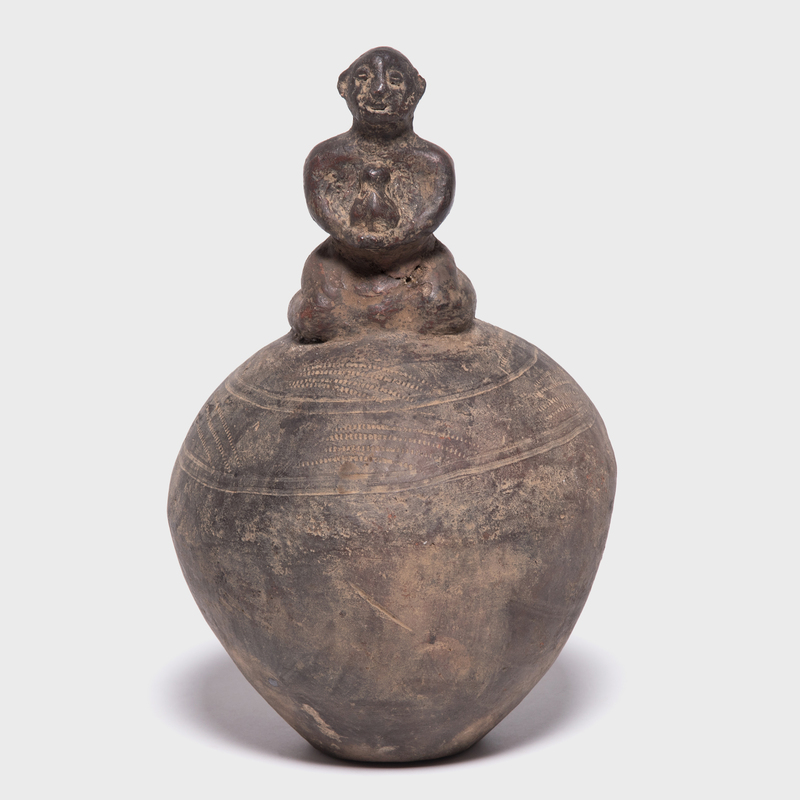 With their bulbous forms and thick rinds, gourds, once properly dried, served as lightweight, watertight dippers, jars, bottles and bowls. 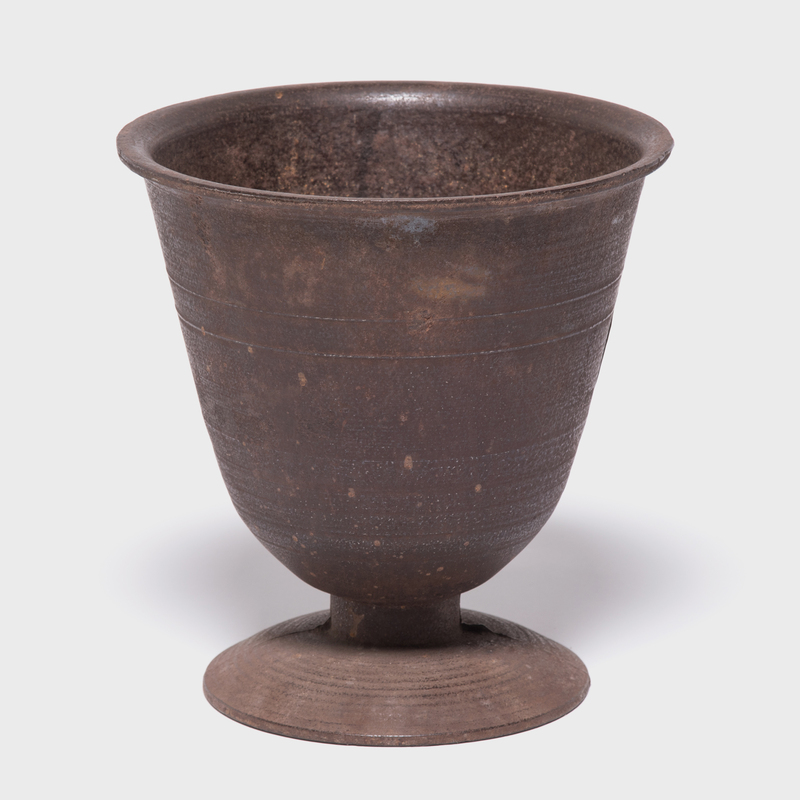 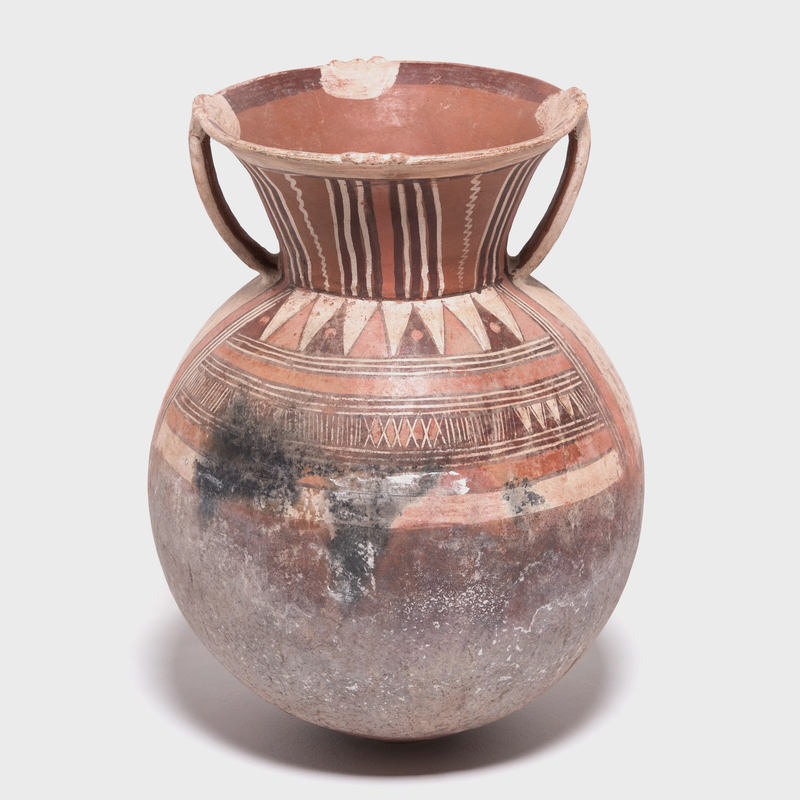 Outfitted with leather carrying loops, this container may have simply toted water or it may have played a role in religious ceremonies. 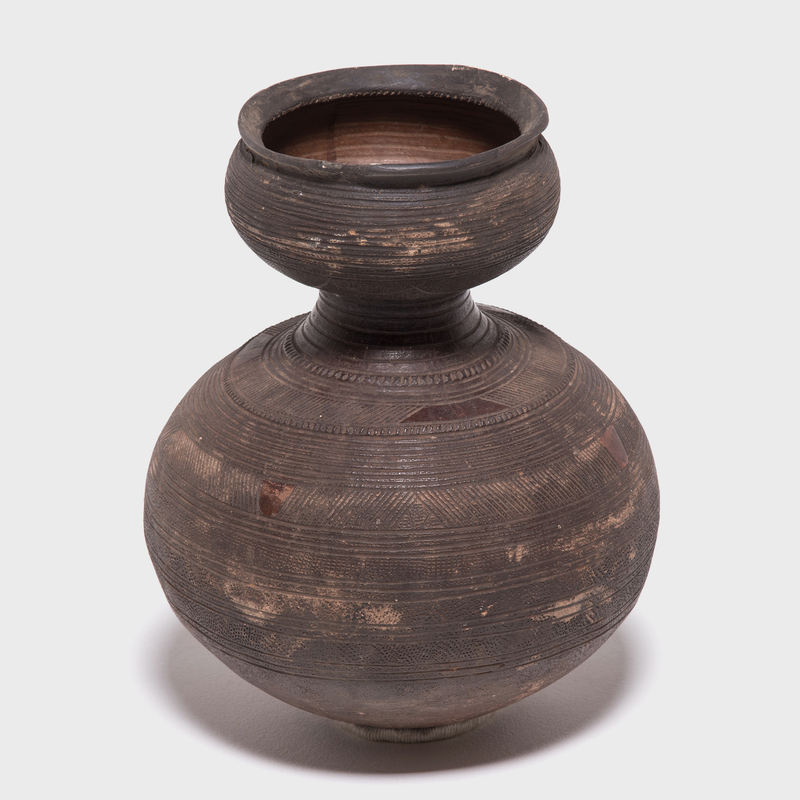 Because a gourd had once been a living thing, it was often believed to possess powerful forces of life and regeneration, making it a suitable container for ritual libations or balms.